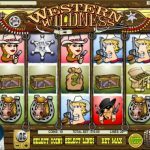 Western Wilderness is a 5 reel, 20 paylines slot game by Rival. 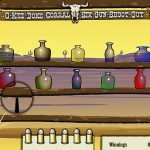 As you can imagine the theme revolves around the wild west. So if you’re a fan of the period and think sharp-shooting is fun then keep on reading. 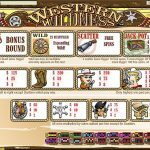 The Wild in this game is the Wagon Wheels symbol which will substitute others to help you complete a winning combination. There are two scatters in this game. The first is the Shotgun symbol and landing 3, 4 or 5 will win you 10, 20 or 100 Free Spins. Not bad at all for a day of shooting. Moreover all your wins during this round come with a 3x multiplier. The second scatter is the Cow Skull symbol and landing 3 or more will trigger the Bonus Game. Here you get six bullets to shoot bottles of the shelves. The more hits you get the bigger your prize will be. This is a 2008 game so don’t be too judgemental about the graphics. Otherwise we kind of liked the theme and the bonus features were fun so you should give it a try. If you’re a fan of bird watching why not try playing Watch The Birdie a 5 reel slot by Rival.